I am always looking for smarter ways to travel. Packing a bag is an annoying part of travel and I always welcome ways that make it easier. Packing cubes are the answer. They allow me to fit in more luggage and keep things separate. They are a cheap way to travel better. They are especially helpful when I am packing for a family and using a single suitcase. This is something I have achieved that I never thought would be possible, and as dramatic as it sounds this has been a life changer. Fitting everything in can be a struggle especially when we are so tightly limited by check in and carry on restrictions, and this is why packing cubes are so handy. The annoying thing is that clothes are not necessarily heavy but would otherwise be bulky. A packing cube can solve this. 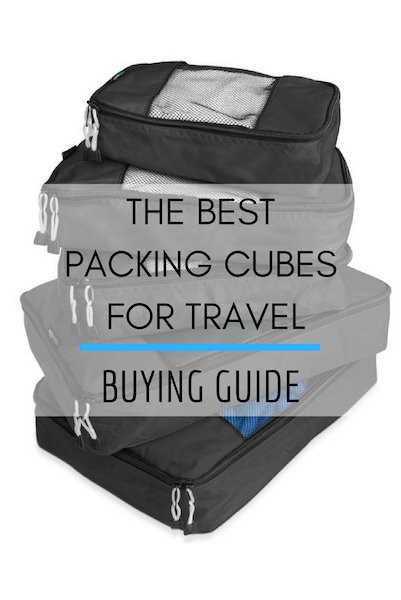 Read the best packing cube reviews below and learn the best way to use packing cubes to help you travel better. 2.1 What are Packing Cubes? Use the chart below to compare the best travel packing cubes on the market. You can also read a full review of the top 5 below for more information on the best packing cubes system. *These sizes differ based on the manufacturer. We will discuss how the sizes differ in the packing cube reviews below. Packing cubes differ but the majority of them are zippered bags that are used to organize your belongings, especially when traveling. Clothes are rolled into larger bags to reduce space and to compartmentalize your luggage. You can find packing cubes cheap, but they may lack the strength and durability of the best travel cubes. Most of the best rated packing cubes are made of lightweight material such as nylon and feature a mesh screen so that you can see the contents inside. They also differ based on their color as this can be a great way to keep items separate. There are many advantages that come with using packing cubes which we will discuss below. Looking for the best luggage or backpacks? Read our guides to the best luggage and best backpacks. They allow you to keep things separate – Using a packing cube keeps your belongings separate and helps you to stay organized. This reduces time spent sifting through luggage to find what you need. This is especially valuable when packing for a family. They make sharing a suitcase easy – A great way to save space when traveling is to share a suitcase. 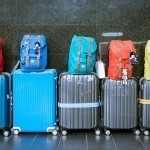 It can also save money when purchasing additional luggage on budget airlines. By using packing cubes when traveling with a companion, you may only require the one suitcase without the risk of mixing your belongings. They are reusable – Many travelers resort to using ziplock bags as an alternative to packing cubes, however these can’t even compare. Ziplock bag aren’t made for repeated use, especially with bulky items, whereas packing cubes are. They are durable and strong. Keeps clothes neat – Packing cubes allow you to really stuff things in. This works to keep clothes wrinkle free. Some of the best cubes to buy can even feature a level of compression which helps save space even further. Easy to keep clean – most packing cubes are machine washable. They allow you to pack more – Whilst most packing cubes are not compression style, they still allow you to fit more in than a bag. The best storage cubes can be stuffed fuller then a bag whilst also being more organized. Folding things into smaller spaces saves space. They can double as pillow – A well packed packing cube can double as a pillow. Throw in a comfy (and clean) sweater and your packing cube can double as a comfortable travel pillow. Learning how to pack with packing cubes is really easy. You simply fold clothes or other items into the zippered bag and close it. Learning how to use packing cubes for suitcases is not much different. The way I use packing cubes is to separate fresh clothes, dirty clothes and accessories. This keeps everything separate. The best way to fit in clothes is to roll them. Learning how to roll clothes for packing cubes is simple and easy. I generally fold the clothes in half and roll as tight as I can. Rolling definitely allows you to maximize space as much as possible. When you have one of your own you will realize that learning how to pack using packing cubes is a lot simpler than packing without them. The size of packing cubes do not differ substantially. In my experience they can be summed up as either small, medium or large. It is possible to find single and double packing cubes as well. The size you need will depend on how you are using them. The best packing cubes for backpacking are smaller than ones for suitcases. A medium sized one is ideal for backpacking. It is worth mentioning that many come in sets – so you will receive three packing cubes of either different or similar sizes. Cheap packing cubes may only come with one size, but the best packing cubes for carry on only need to be small and simple. One thing to note is that sizes do differ and what some brands consider ‘large’ is what other brands consider ‘medium.’ Some brands even go up to ‘extra large’ but the majority of the time these are no larger than the large of other brands. It is understandable that little variation in sizes exists as we are all restricted by the size of our suitcase or backpack. In regards to the question “how many packing cubes do I need”, this depends entirely on the size of your own luggage. For me, two packing cubes of each size seems to work well for a short trip. So are packing cubes worth the money? Yes! They are one of the best options for organizing yourself whilst traveling. So what exactly are the best packing cubes for travel? Read the packing cube reviews below to find out. A popular brand and one of the most trusted products is Eagle Creek. They are known for offering quality travel products and their packing cubes are an example of this. The packing cubes best feature is the quality. The lifetime guarantee offers confidence that these packing cubes will last. They are incredibly strong and compact. The cubes include 3 sizes and vary based on their size. They are rated as full half and quarter. The largest is about the size of a magazine however these cubes are smaller in comparison to the standard size. This has its advantages for some but it is worth noting that the large is the same size as a medium in other brands. There is a huge range of colors offered with over 100, so that everything is easy to identify and keep separate. 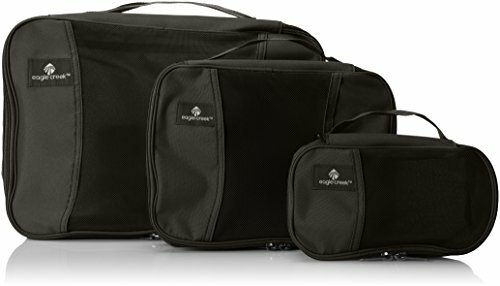 I do agree with another eagle creek packing cubes review that stated a larger size across the board would have been perfect. Having said that these packing cubes are probably the best option for regular extended use. 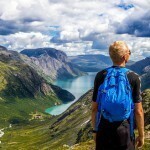 Offering some of the best quality on the market is PRO Packing Cubes, and a pro packing cubes review was necessary as other reviews are overwhelmingly positive. This is helped by having a brand that specializes in crafting quality packing cubes so it is no wonder they are popular for their quality. Available in several colors, the great thing about these packing cubes are the strength found in a variety of sizes. This review focuses on the popular medium bags. They are certainly strong. The bags feature a mesh screen for visibility and have some of the strongest heavy duty nylon of any packing cubes. The packing cubes are a great fit as there are four medium sized cubes and one extra small cube. The extra small cube is perfect for toiletries. As they do not come in different sizes they are not great for all circumstances – but the medium size is the most popular and can fit well in most carry on luggage. They are a perfect size for suitcases. 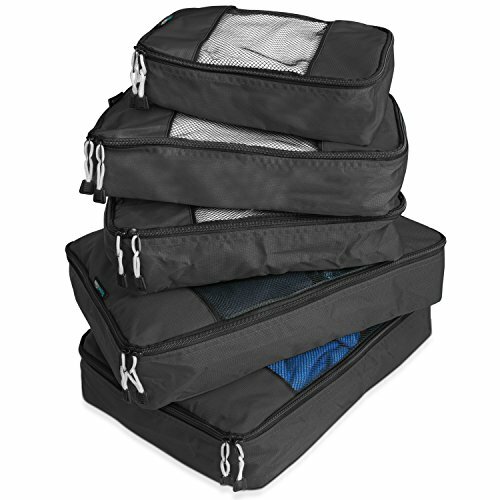 These bags also offer better compression in comparison to other standard packing cubes, and whilst they are not compression cubes they will save space. These cubes are a good quality option for a variety of uses. 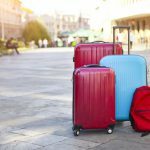 Although the bag sizes are the same, they can still be a great option for both carry on and suitcases and are guaranteed to last. 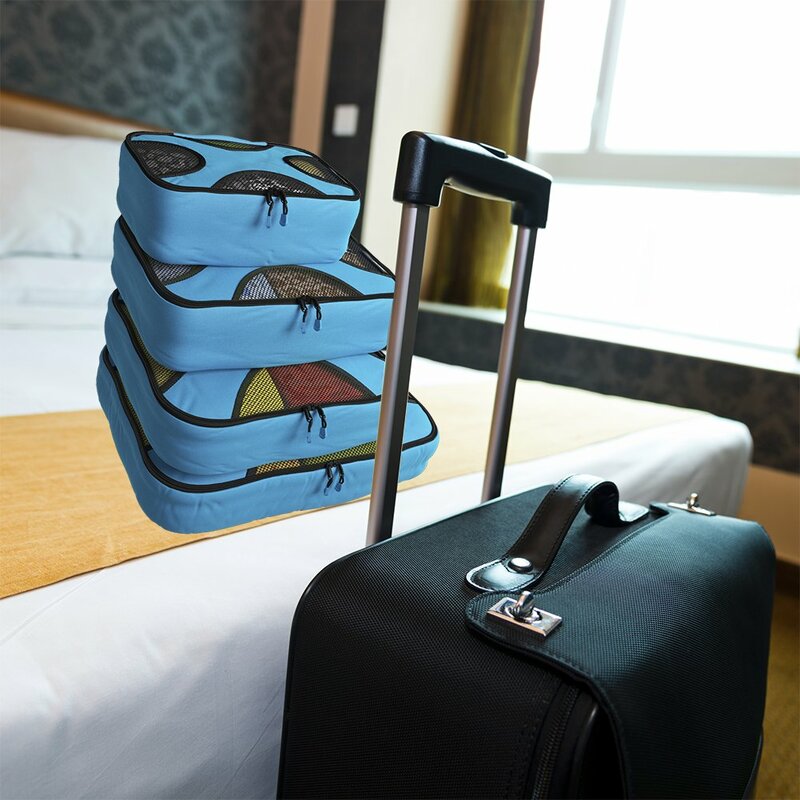 The TravelWise Packing Cube System is a popular set coming in several different colors to help you keep things easily identifiable. The set offers 5 cubes in total with one small cube, two medium cubes and two larger cubes. 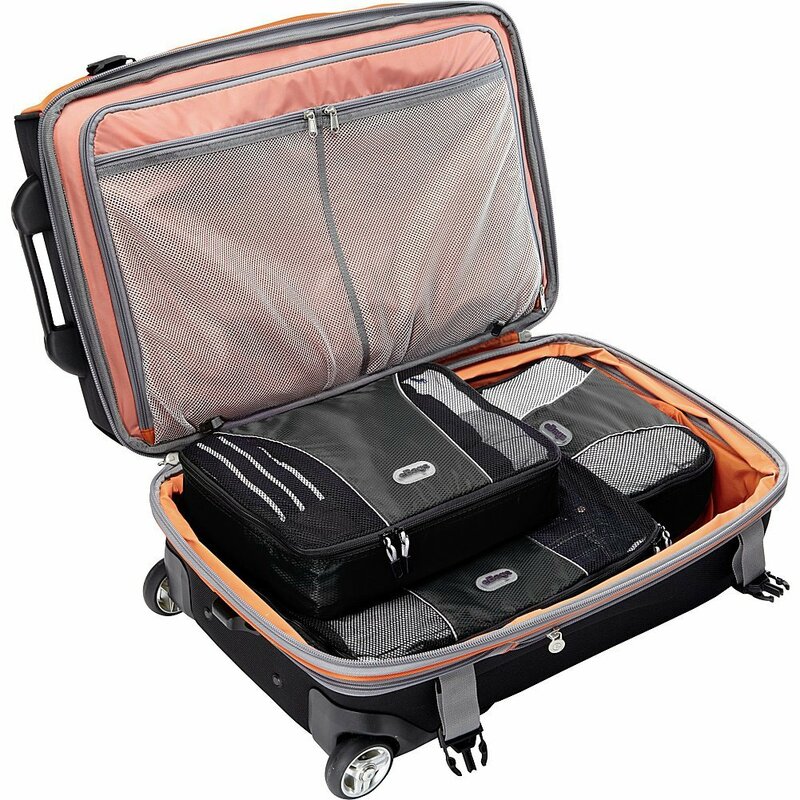 This makes it a great option for extended travel in different circumstances and a way to keep things organized. The material is of good quality and the mesh screen helps keep things visible – having said this the material does not seem as strong as some competitors and I’m not sure I would be comfortable overfilling these bags. What makes these cubes great is the inclusion of 5 cubes in total – especially at this price. It would be nice to see an even smaller cube for toiletries but the variety does have its own advantages. This is a great option for organization, but not necessarily stuffing them completely full. This makes them a better option as an organization system than a space saver. eBays have some popular packing cubes and have proven to be reliable for extended use. This is evident in their guarantee to last for life, and they are a perfect long term solution. The cubes are available in 10 different colors. This does more than just look good, it helps to keep things separate and easily identifiable. There are 3 different sizes included from small to large. Each bag is made of nylon and is machine washable. The durable nylon fabric makes it possible to squeeze more in without worrying about breakage. This is a perfect example of a high quality packing cube. It has strong zips where there is less risk of catching the zip on clothing making them more secure. You do not have to fear stuffing them full as they are durable and strong. 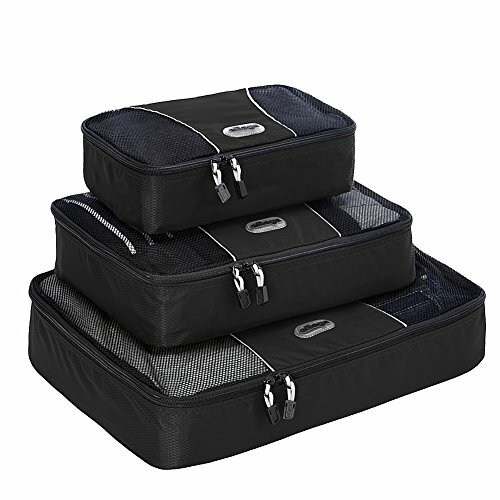 These bags are a life saver for regular packers and most reviews state that they have been able to fit more than twice their normal amount of luggage. 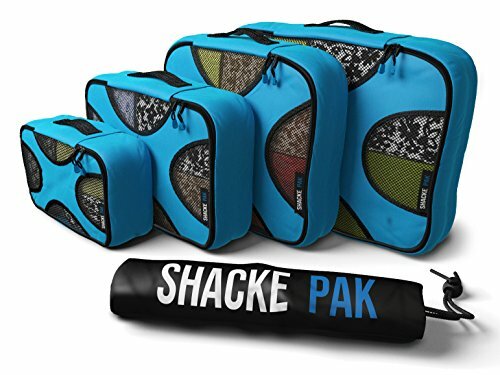 The final packing cube of our reviews is the Shacke Pak. 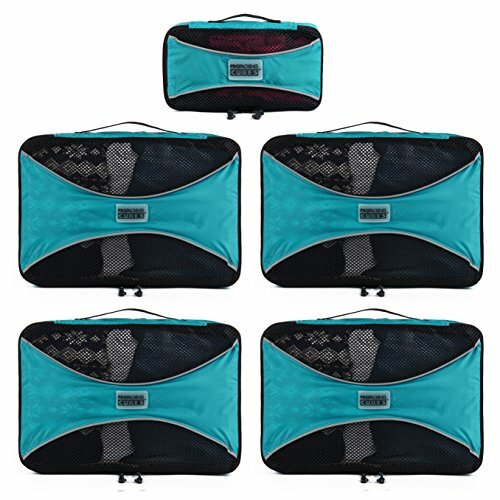 These packing cubes are great value with a total of 4 packing cubes of different sizes. The cubes are of good quality and a great option for travel. The water resistant nylon makes this one of the packing cubes best for backpacking. Getting it wet is not an issue and it keeps things protected. As there is a mesh screen they are not entirely waterproof however. The packing cubes feature strong material. They are all 4 inches deep. However, the largest is XL but is no larger than most large bags. An additional extra is the included laundry bag meaning there are 5 bags in total. The laundry bag is not the strongest however and should not be used for any purpose except laundry, it is a nice extra to have though. These cubes make it easy to see what is inside and make packing a breeze. It is no wonder they are popular. They offer more than some of their competitors whilst also being just as strong. You can also read our guide to the best toiletry bags. 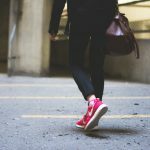 Looking for other travel gear? 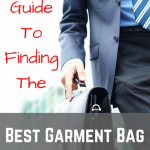 Find all our other buying guides here. Do you use packing cubes? Any tips? Hi. I wish you would put a bit more emphasis on the washing part of the cube. I bought some from amazon a year or so ago and the inside nylon peeled on first washing. Not good. I typically turn one of the cubes into my laundry bag mid trip so I can just empty and toss it in laundry once home. No one seems to do a washer test, just “most are machine washable”. Thanks!